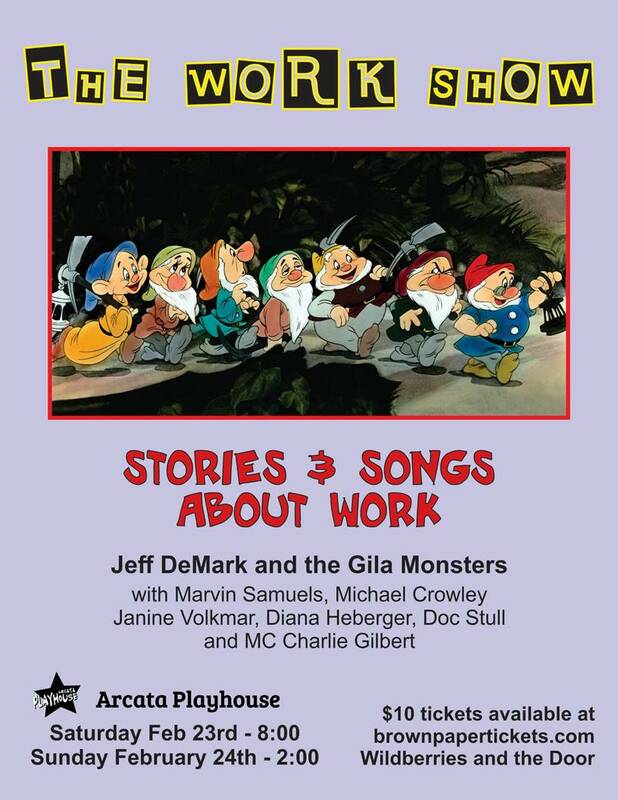 Join Doc and some of Humboldt County’s finest story-tellers and musicians. 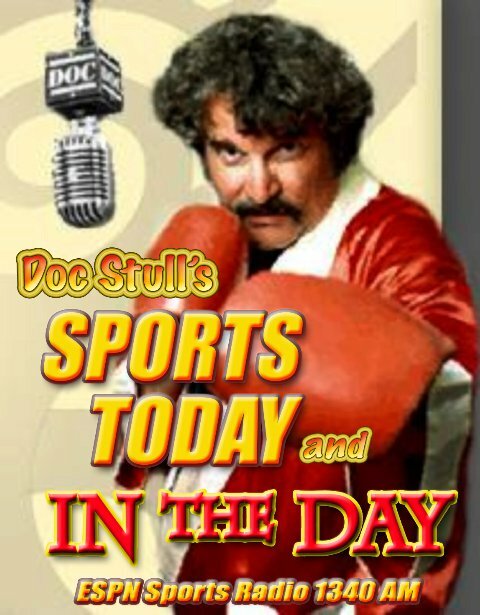 Doc will be reading two of his classic coming-of-age work stories: The first, Guilt, was a mortifying experience as a rookie ice cream scooper at the age of 16. The second story, Knife Man, was about his improbable experiences in San Diego selling knives door to door in San Diego in the 70’s. 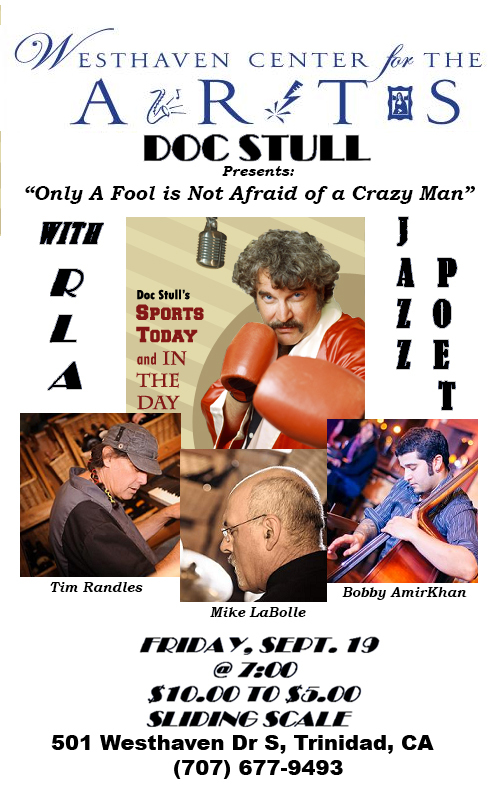 Doc Stull’s jazz/poetry performance with Tim Randles Jazz Trio at The Westhaven Center for the Arts, Friday, Sept. 19, 2014 at 7:00 PM. Sliding scale, $10.00 – $5.00, Students $5.00. 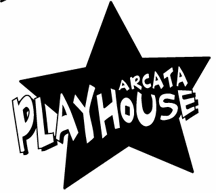 Doc will be talking with Phil about Vince Guaraldi, known to most world-wide as the composer and pianist behind the famed Peanuts comic strip animated specials featuring Charlie Brown and Snoopy also played in Woody Herman’s “third herd” big band, composed the first ever Jazz Mass recorded live in San Francisco’s Grace Cathedral in 1965, participated in some magical and memorable collaborations with Brazilian guitarist Bola Sete and was a fixture in the bossa nova Latin jazz San Francisco club scene in the 1950’s and 1960’s. His Jazz Impressions of Black Orpheus introduced countless people to jazz and the sensuous sounds of boss nova. His single Cast Your Fate to the Wind won a Grammy for Best Original Jazz Composition and was a successful cross-over song into the top 40 more than a half a century ago. Though Vince Guaraldi died in 1976 at the age of only 47, his legacy was revived by guitarist David Benoit and pianist George Winston who recorded covers of many of his songs. 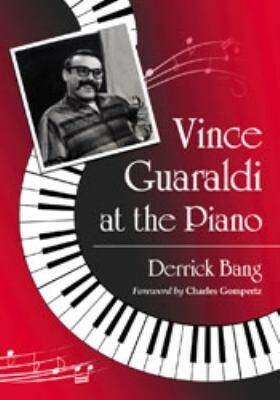 Doc will be publishing a podcast interview with Derrick Bang, of the author of Vince Guaraldi at the Piano, on Doc’s jazz show on the New Books Network <newbooksinjazz.com>next month.